"The Greatest Shows" presented by the elite theatre group The Workshop Players was held from the 11th to the 14th of October 2018 at the Lionel Wendt theatre. They performed a selection of songs from twenty six well known musicals which they had never attempted before. It was exhibited as two separate programs, showcasing songs from 13 musicals per program. 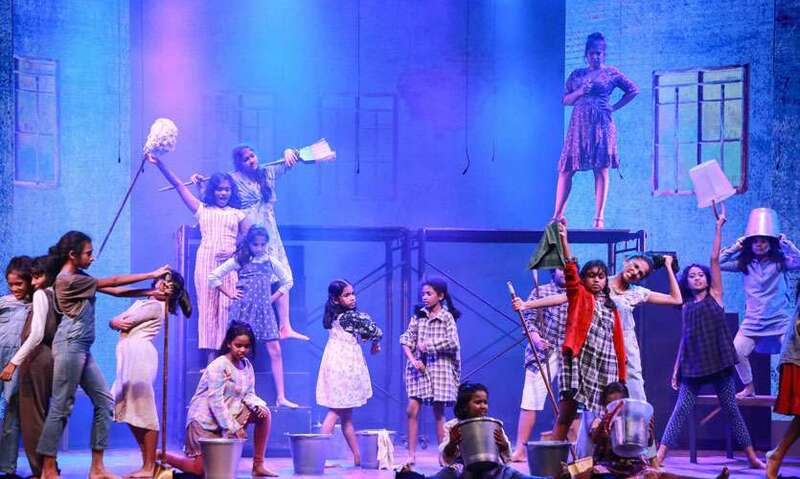 The Workshop players, without surprise, upheld their renowned status and staged arguably one of the "greatest" shows that Colombo witnessed this year. The first program kicked off with Saneth Wijeratne taking the lead in “You’re in the Band”, from the musical The School of Rock. This performance featured many young and exceptionally talented young kids, who also happened to be part of the live band. The songs “Stick it to the Man” and “Teachers Pet” followed suit, which were absolutely amazing in terms of music and got the audience actively engaged in the performance with their rhythmic applause. Overall, the singing and the instrumental surpassed the acting however, the cast excelled in setting a vibrant mood to start off the evening. 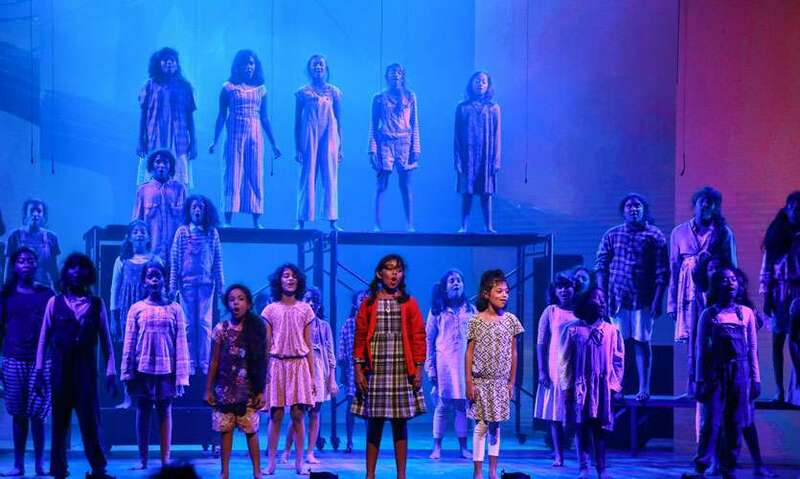 “It’s a hard knock life for us” proved to be the perfect start to the beloved musical Annie, performed entirely by children, whose acting was impeccable, and they effortlessly managed to capture the audience's hearts. This definitely set the benchmark for all acts performed by the children which followed, and there was a swift change in reaction from "aww” to “awe”. Following this was an absolutely amazing solo performance of “Little Girls” by Shanuki de Alwis who portrayed the role of Mrs. Hannigan to perfection. She was successful in conveying Mrs. Hannigan's true disgust and annoyance of children in the most hilarious way possible. The little girl taking on the role of Annie in the performance of “Tomorrow” had the voice of an angel, and she led her cast through this song perfectly. The girls captivated the audience with their harmonious melodies, bringing the second act to an end. It was the most enthralling experience being able to see so much young talent on one stage, in both the first and second act. 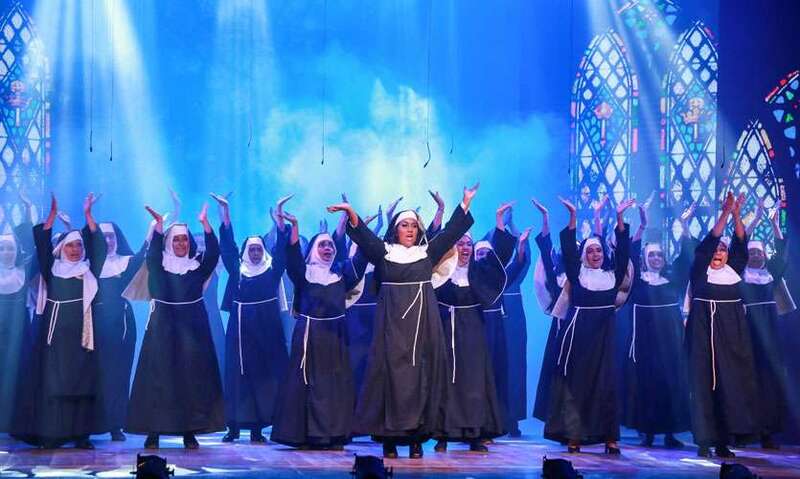 Sister Act was certainly the best performance of the evening. It was the perfect combination of funny, light, touching and upbeat. From this musical came “Here within these walls”, “Good to be a Nun” and “Take me to Heaven” and it was spectacular! "Take me to Heaven" was the most gripping performance of the night and was evidently a crowd favorite. The acting and singing was ethereal and unique and you could tell that everyone was having bouts of fun on stage! Dilini Perera did a stellar performance in portraying the role of Deloris Van Cartier, with her bubbly personality and abundance of cheerful energy which clearly showed in her acting. Hair, a love-rock musical set against the backdrop of the hippie counterculture of the late 1960's, was quite a notable performance. Through the choreography and singing, it was evident how well the actors embraced the 'Spirit of the Sixties' and took the audience back to an era of 'love and peace'. 'Fiddler on the Roof' was an absolutely heartening and fun-loving performance. The actor portraying the role of Tevye was quite impressive and the ensemble was noteworthy. As a whole, it was a great performance! 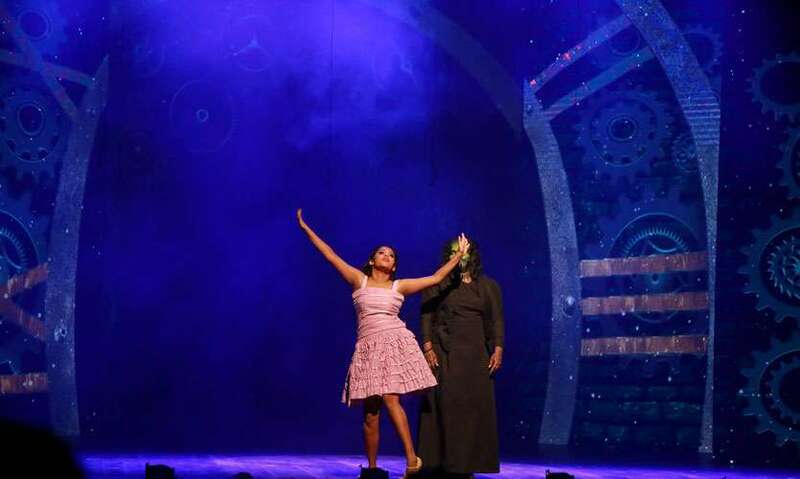 The medley consisting of "Wizard and I", "Popular" and "Dancing through Life" from the play Wicked was executed exceptionally well by Dilini Perera and Vinuri Weerawardana. They were both bubbly and very energetic and conveyed their story to the audience passionately. 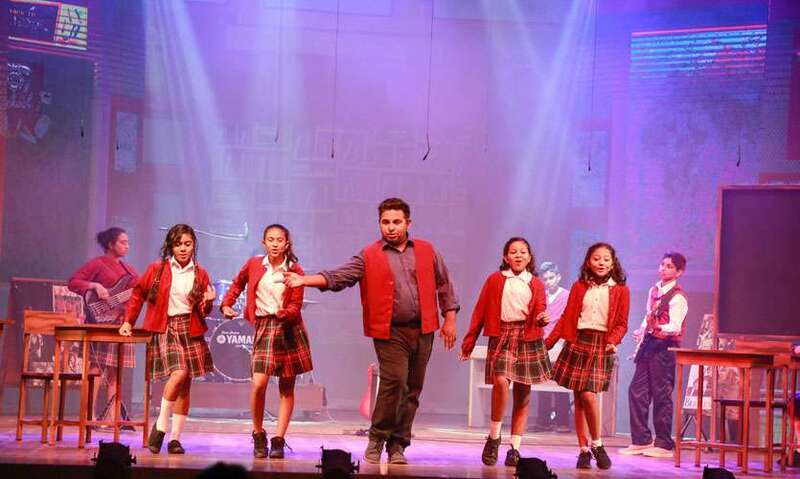 The much adored musical Mamma Mia was staged with cherished songs such as "I have a Dream", "Honey Honey", and a significant portrayal of the character Donna played by Dilrukshi Fonseka through the songs "Mamma Mia" and "Dancing Queen". It was an exuberant performance and provided the perfect end to the first half, leaving the audience eager for more. The second half opened with a performance from the musical Charlie and the Chocolate Factory. The highlight was definitely “Loompa Land”, performed by the children, who portrayed the humorous role of the oompa loompas. A mysterious ambiance was created as Nigel White, portraying the role of the Genie, transported us to the ancient city of Agrabah with the song “Arabian nights” from Aladdin. Genie’s performance was highly credible and the ensemble further helped illuminate this scene with its wonderful singing and dancing. It was a most thrilling performance! This was followed by the impressive magic carpet scene, as Aladdin shows his true love, Princess Jasmine, a “Whole New World”. The acclaimed musical We Will Rock You, based on the songs by the much adored band Queen and a story centered around a group of Bohemians, was an absolute hit! Captivating the audience with “Radio Gaga/I want to break free”, the performance followed with a duet of “I Want It All” by Julian Anderson and Daniella Perera, which was spectacular. Ending with a crowd favorite, the “Bohemian Rhapsody”, I believe everyone who watched this can vouch that it was a remarkable performance. Vishan Gunawardana did a commendable performance with the song “The American Dream”, from the play Miss Saigon, which was followed by “I still believe”. It was truly an emotional performance. From the musical Aida came songs such as “Every story is a love story”, “Fortune favors the brave” and “Dance of the Robe”, which were tremendous, and it was evident how well the ensemble worked together to bring out the depth of this play. Daniella Perera’s portrayal of the role of Aida was truly extraordinary, as she carried this out with authority and beauty, particularly in the latter song. Ending with the smash hit musical Chicago, were the songs “All that Jazz” and “Cell Block Tango”. The choreography in these scenes were brilliant, and the cast succeeded in bringing out this thrilling story. it was an incredible performance, and the perfect way to end an amazing night! Timed to perfection, it was a mind-blowing production with great pace, song, and dance! The sets were impressively crafted to create the illusion of each diverse setting and the projections were tastefully designed to complement. The lighting was similarly successful in capturing the right mood and elevating the visuals without being too distracting. The set changes were smooth and fast and it was evident that a lot of effort was put into making this production a success. The variety of gorgeous costumes that differed from play to play made the whole show very colorful and attractive. It must be noted that many actors who were in back to back plays made their costume changes extremely fast, once again proving the amount of commitment and hard work that was put into this. All things considered, it was a phenomenal night and everyone enjoyed themselves thoroughly. The cast, as well as the choral, acting and choreography directors headed by Jerome L De Silva, must be commended for pulling out all the stops and showcasing one of the best productions Colombo has seen!